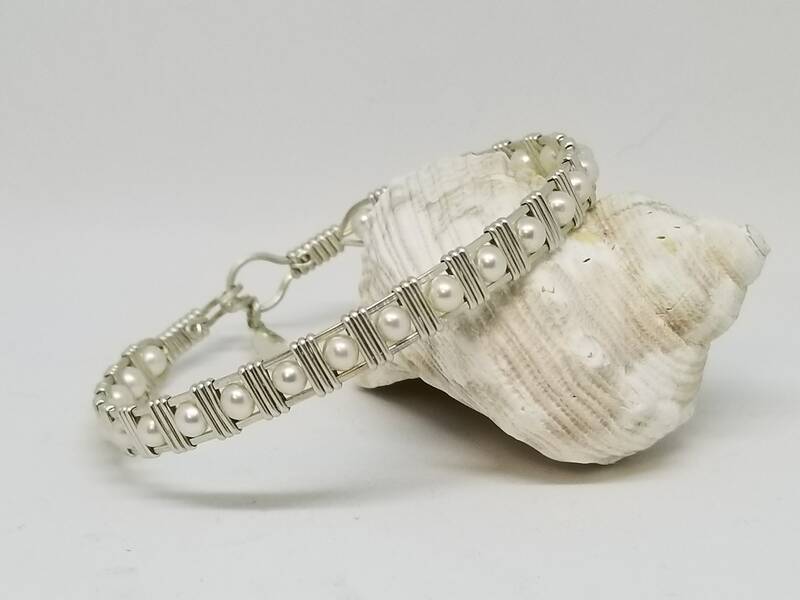 Beautifully wrapped Argentium Silver and Pearl's bracelet. I purchase all my Pearl's directly from a pearl farm to get the best of the crop. Each pearl is hand picked and has a gorgeous luster. 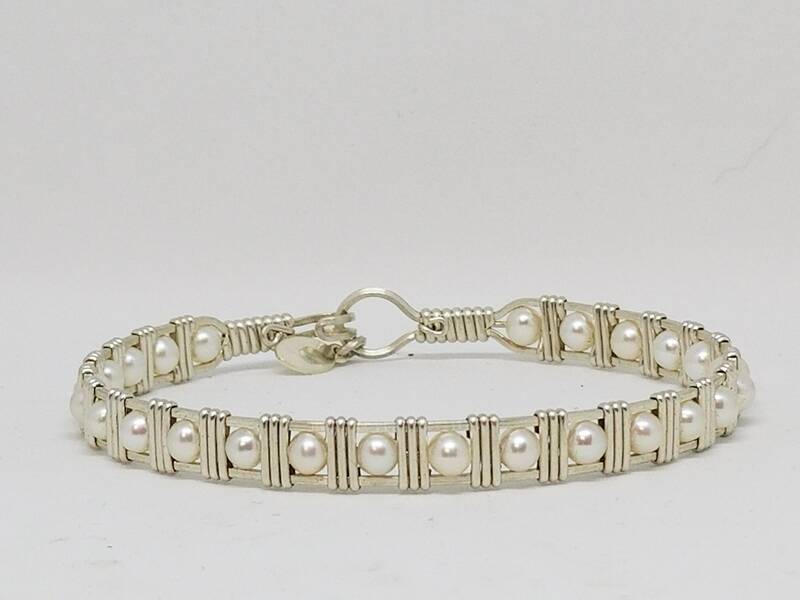 Matching this with the bright and tarnish resistant Argentium silver makes for a gorgeous bracelet.